We use them every day over text, Facebook, Twitter and Whatsapp, and sometimes more than words - emojis are fast becoming a huge part of the way we communicate today. Whether it's to convey an emotion or to illustrate what we had for dinner, it's hard to know how we survived before the tiny images landed on our iPhone keypads. 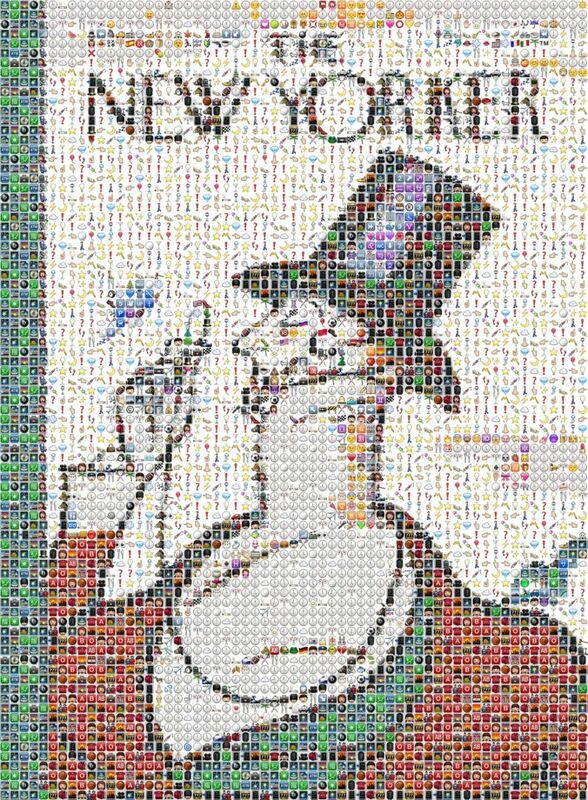 The teeny tiny images are also appearing in pop culture more frequently: take Katy Perry's recent lyric video for her single "Roar", illustrated almost entirely through emojis, or Fred Berenson's New Yorker cover, a mosaic of the magazine's signature Dandy made out of the symbols. Picking up on the importance of the Japanese emoticons in our communication, the first art exhibition dedicated solely to emojis will open today at New York's Eyebeam and Technology Centre. As the show's website points out, humans using visuals to express themselves is nothing new - from cave paintings, to hieroglyphics, to religious and mythological symbols encoded in traditional painting and sculpture, images have been part of the global vernacular for a long time. 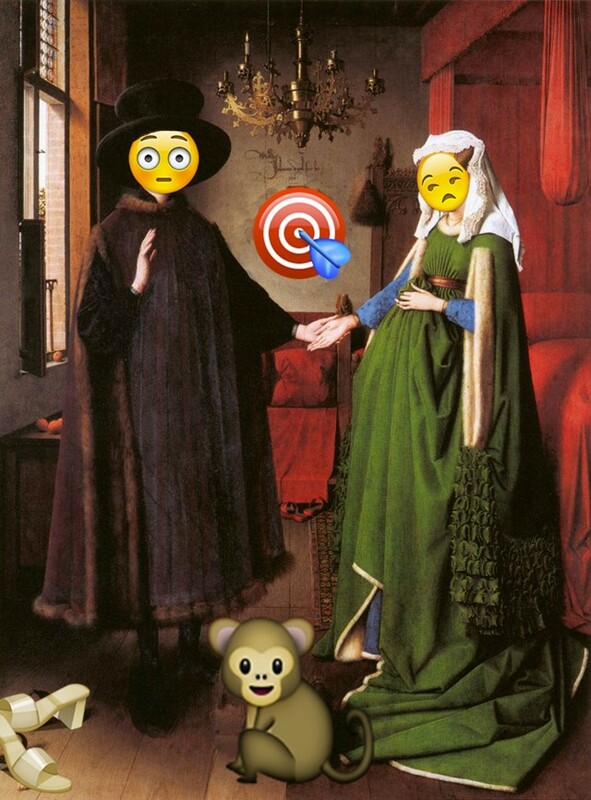 Now, the dominance of emoji in our every day correspondence means that they too deserve a place in art history, a spot which the Emoji Art and Design Show hopes to start carving out for them. In November, an open call was held and thirty artists were chosen to be featured in the exhibition. Throughout the show, emojis are presented through a wide range of mediums. Digital prints, sculptures, video and performance arttackle themes such as emotional ambiguity, symbology, and visual communication. The desire for more emoji characters is also a represented, as is inherent translation difficulties. "A lot of the artists were concerned with defining emojis," says Zoe Salditch, one of the exhibition's curators. "They want to know exactly what one means so they are either lamenting the symbol's ambiguity or attempting to set a meaning." Some of the pieces in the show are interpretations of famous artworks. 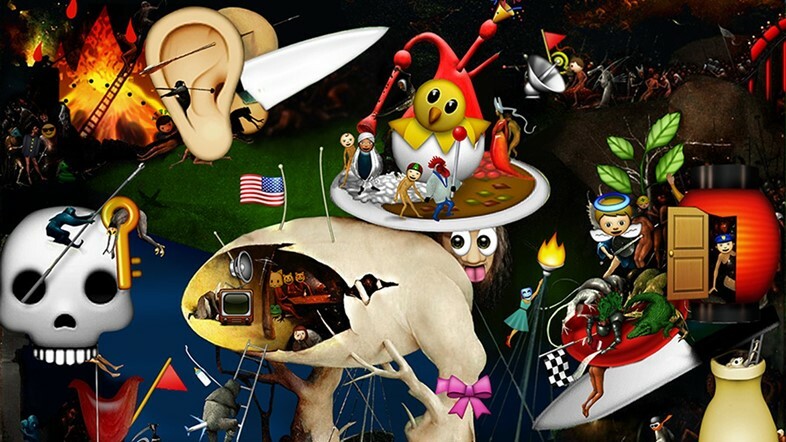 Carla Gannis’s The Garden of Emoji Delights is a digital reworking of Hieronymus Bosch’s famous painting The Garden of Earthly Delights, and Genie Alfonzo photoshopped emoji heads onto Jeff Koons's sculpture Michael Jackson and Bubbles. Other artists took a digital approach – software developer Matthew Rothenberg, came up with Emojitracker.com, a tool that records in real time which emojis are being used on twitter. Another highlight of the exhibition comes from artist Maya Ben-Ezer and her sculpture entitled Shift Key, in which she substitutes the keys of a typewriter with the emoticons. Also featured is six excerpts of Genie Alfonzo's Tumblr page Emojinal Art. Her ornate wallpaper patterns prove that emoji can be used not only to communicate, but to create something visually pleasing, giving them a place within the fine art cannon. According to Salditch, the appeal of the emoticons is their ability to communicate something that isn't possible through words. "People are drawn to them because it speaks to something basic and innately human. We understand one another through body language and facial expressions and emoji provide this in our text communications," she says. "Plus, they're pretty cute, lighthearted and fun. The smiling poop emoji for example – hilarious!"